Computex 2016 happened sometime back where ASUS launched its trademark gadgets, especially the flagship range of Zenfone series and have been fairly good in terms of bringing the flagship range phones to here in India in August. 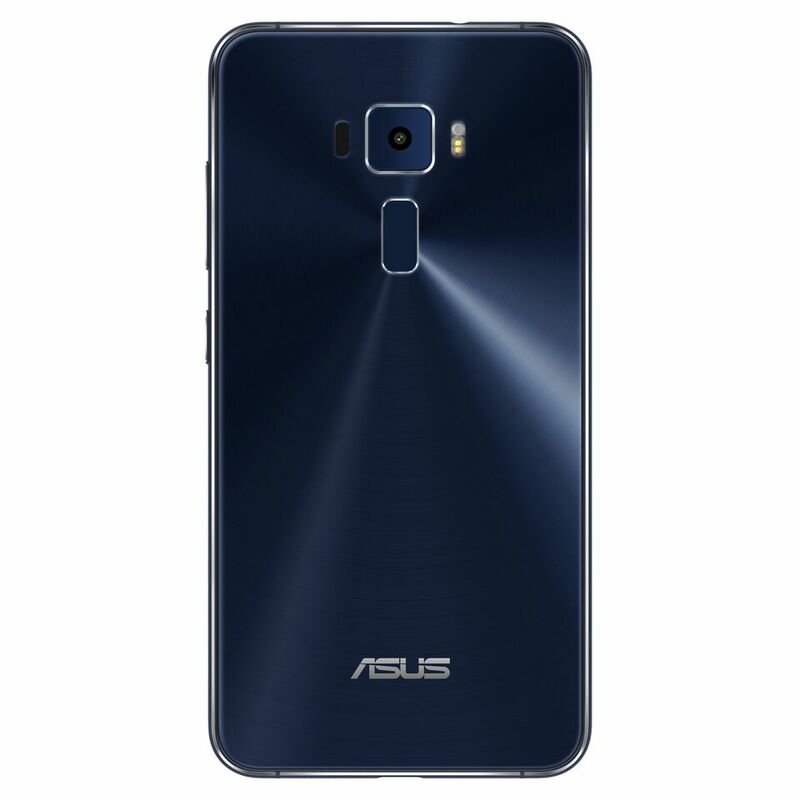 The Zenfone 2 series was highly successful and also popular especially in the Indian market given the fact that it was much easier to purchase it as compared to the infamous flash sales or invite systems adopted by other OEMs. While it is a good thing that ASUS is bringing the phones already to the Indian market in a launch event that had way more flamboyancy than we expected it to, it is rather shocking to see the pricing strategy as its all much more than what they’re selling in other markets. General trend is to keep the pricing lower or on par at best but ASUS seems to have disappointed many in here. Let’s take a look at the phones released, their pricing and our initial thoughts on the same. This is the lowest of the three variants and when compared to the Zenfone 2, has a totally different design. While its predecessor was infamous for being heavy and bulky, this one has narrow bezels, a very slim and compact body adding to its appealing looks. It comes with a 5.2″/5.5″ Full HD screen packing 1920 x 1080 pixels and is curved at all of its edges thus being a 2.5D glass which is also protected by Corning Gorilla Glass. Under the hood the Zenfone 3 is powered by the Qualcomm’s Snapdragon 625 Octa-Core processor, the first ever phone to use this SoC which is also the first one in the 600 family to use a 14nm FinFET technology. With 3/4GB of RAM accompanying the processor, the phone has 32/64GB of internal memory that can also take in 128 GB of additional memory via a hybrid slot that also takes in 2 SIMs. The phone is powered by a 2650/3000mAh battery that can be charged via a USB Type-C port and we are told that this should easily last a day for the Zenfone 3 that runs on the custom Zen UI 3.0 built off Android Marshmallow. The camera department is where it gets heavy – on the rear it sports a 16 megapixel shooter which is essentially a Sony IMX 298 sensor with f/2.0 aperture, laser auto focus support, PDAF support and dual tone LED flash. The highlight will be the 4 Axis OIS that will allow for some stunning low light pictures and videos. The front shooter is a 8 MP one with wide angle for selfies. Coming with a fingerprint scanner, the 5.2″ variant with 3GB RAM and 32GB ROM is priced at 21,999 INR and the 5.5″ variant with 4GB RAM and 64GB ROM is priced at 27,999 INR. The Zenfone 3 Laser comes with a 5.5″ 1080p display and 2.5D glass with Gorilla Glass 3 protection on top of it. Under the hood is a Snapdragon 430 Octacore processor clocked at 1.2 GHz coupled with an Adreno 505 GPU and 4GB of RAM and 32GB of internal memory that can be bumped upto 128GB. All of this will be powered by a 3000 mAh battery and Android Marshmallow flavoured Zen UI. The highlight of the phone will be the 13MP primary Sony IMX214 camera that comes with f/2.0 aperture, dual-tone LED flash, laser auto-focus and 3-axis EIS and the 8MP front shooter that comes with f/2.0 aperture. The phone comes in gold and silver variants and is priced at 18,999 INR. The Deluxe variant comes with 5.7″ Full HD Super AMOLED display and also goes full throttle with 100% NTSC color gamut that makes for an amazing viewing experience. The screen also have Gorilla Glass 4 protection. Under the hood, the Deluxe comes with Qualcomm’s Snapdragon 820 / 821 SoC coupled with Adreno 530 GPU making the Zenfone 3 the first ever phone to make use of the 821 SoC. With 6GB of RAM and 64GB/256GB internal memory which can also be expanded upto 256GB via micro SD slot, the Deluxe provides a whooping power when it comes to providing memory. The Deluxe is powered by a 3000mAh battery that supports Qualcomm’s Quick Charge 3.0 and ASUS’s own BoostMaster Fast Charging made possible via USB Type C port and Zen UI 3.0 OS built off Android Marshmallow. On the camera front, it sports a 23MP rear Sony IMX318 camera built off 6 pieces Largan lens, with f/2.0 aperture, Laser auto focus and has a 4 axis OIS and 3 axis EIS. The front shooter has a 8MP camera with f/2.0 aperture that has wide angle shooting support. Now for the pricing, hold on to your seats! The 64GB variant with SD 820 is priced at 49,999 INR and the 256GB variant with SD 821 is priced at a whooping 62,999 INR! 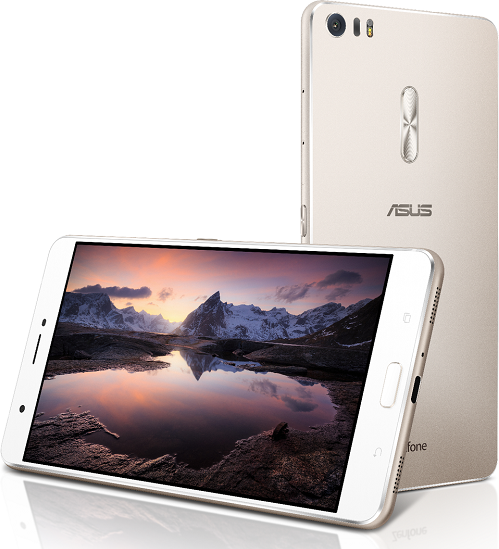 No matter what angle one looks at this, its truly overpriced considering how ASUS priced the Zenfone 2 series. As the name indicates there is something big, very big about the device – its the screen. A massive 6.8″ Full HD screen packing the same amount of pixels as the Zenfone 3 base variant, but comes with Tru2Life+ video technology that is supposed to deliver an experience that is close to 4K screens/displays. It has 95% NTSC color gamut for an immersive viewing experience. Though the phone is big, ASUS has ensured it is still slim and has a unibody design with slim bezels like its younger sibling. Under the hood, it is powered by a Qualcomm Snapdragon 652 Octa-core processor and Adreno 510 graphics, accompanied by 4GB of RAM. A massive screen meant it needed a massive battery and that is what ASUS has done here by adding a 4600mAh battery which also has the ability to charge back other devices that may be plugged into it. Thankfully, it also comes with Quick Charge 3.0 that ensures a rapid charging of the phone. A 64GB worth of internal memory that can be bumped upto 128 GB will ensure you can store as much media as you wanted to be consumed on the big screen. The phone packs a 23MP rear camera with a 8MP front shooter and is priced at 49,999 INR. We’ve seen how well the Snapdragon 650 performs and this 652 should be nothing short of it. So that was the Zenfone 3 series that were launched in India and their pricing. Yes the design has taken an overhaul to be beautiful, yes the specs under the hood are great, yes they may come with awesome cameras and fingerprint scanners but what drops our jaws is the pricing where ASUS gave everyone a shock. The Zenfone and Zenfone 2 series did so well given their pricing but now ASUS seems to be changing their strategy. The phones go on sale in most of the eCom sites and also offline stores from September. We will have to wait and see how the new Zenfone series does given how companies like Xiaomi, LeEco, Coolpad and even Samsung have so many offerings with much better specifications. If one were to pay such high prices they might as well buy one of them Samsung Galaxy S7 or go a little beyond to buy iPhones! Let us know what you think.